Actavis has announced the permanent discontinuation of Gelnique 3% (oxybutynin) Gel. The decision to discontinue the product is business-related and not due to product safety or efficacy. The company expects adequate market supply through March 2016. 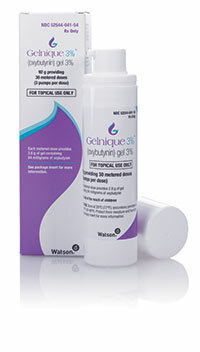 Gelnique 3% Gel is a muscarinic receptor antagonist indicated for the treatment of overactive bladder with symptoms of urge urinary incontinence, urgency, and frequency. For more information call (800) 432-8534 or visit FDA.gov.